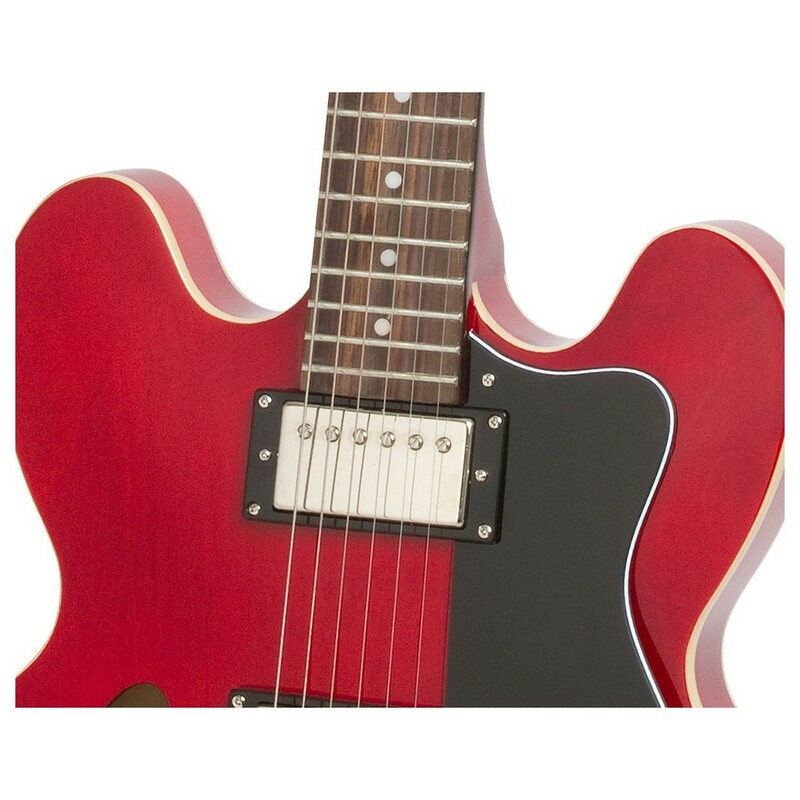 The Epiphone Dot Archtop, Cherry takes its inspiration from the iconic Gibson ES-335 ''Dot'', allowing aspiring musicians and players on a tight budget to experience one of the most famous hollow body guitars ever made. 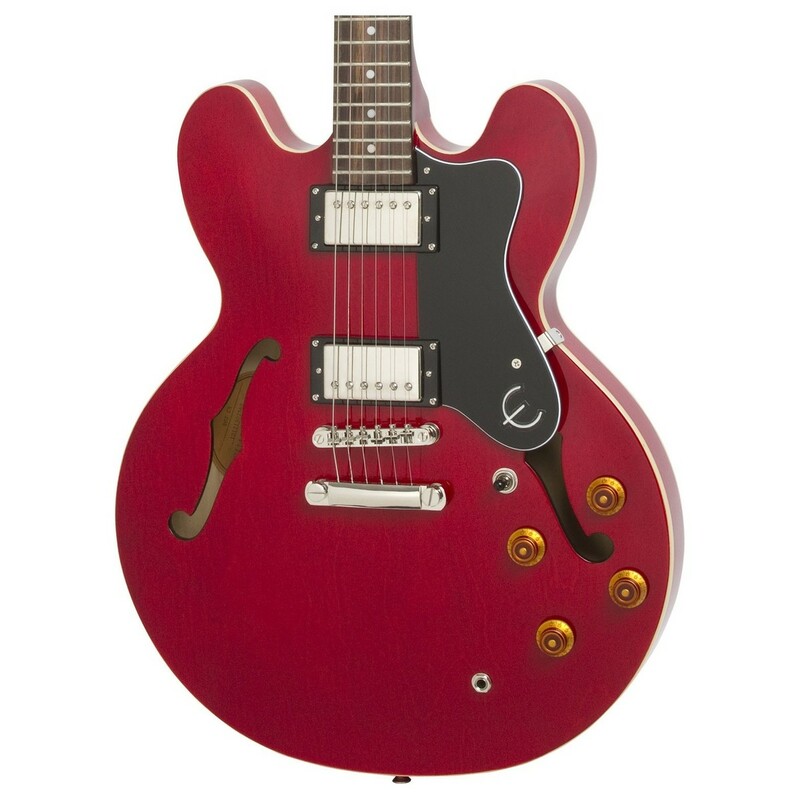 Featuring the historic ES-335 design, the Archtop Dot is crafted from a lightweight maple body, mahogany neck, and rosewood fingerboard, delivering a beautifully bright and balanced tonal palate with stunning highs and thick, creamy lows. A pair of powerful Alnico Classic humbuckers provides the Epiphone Dot with its incredibly vintage soundscape, with independent volume and tone controls to dial in a wide array of sonic variations. 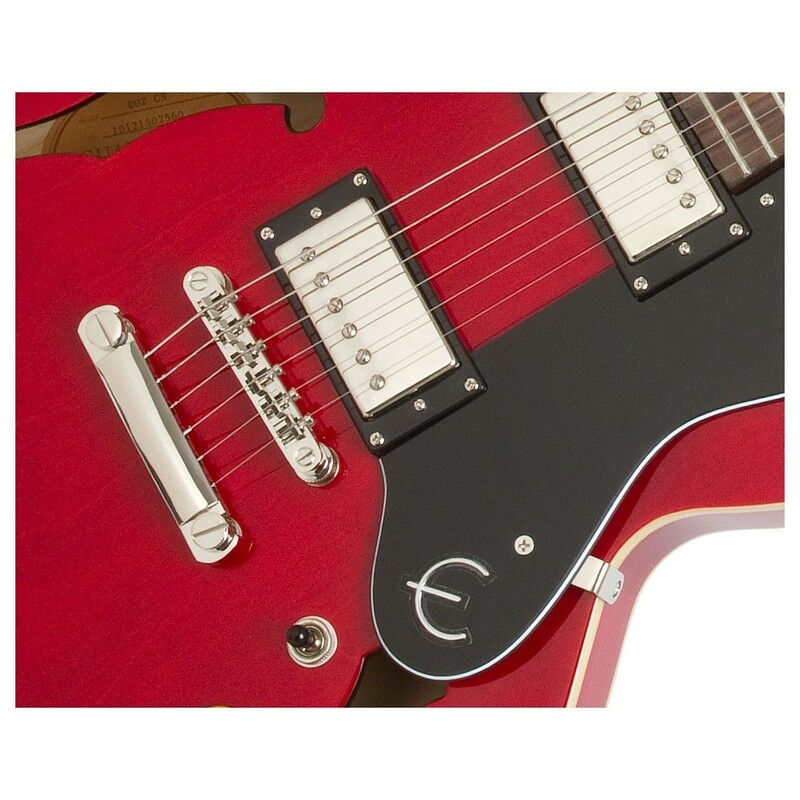 Epiphone have also added their intuitive LockTone tune-o-matic bridge and stop bar, with Grover tuners to ensure players receive an incredibly stable playing experience. 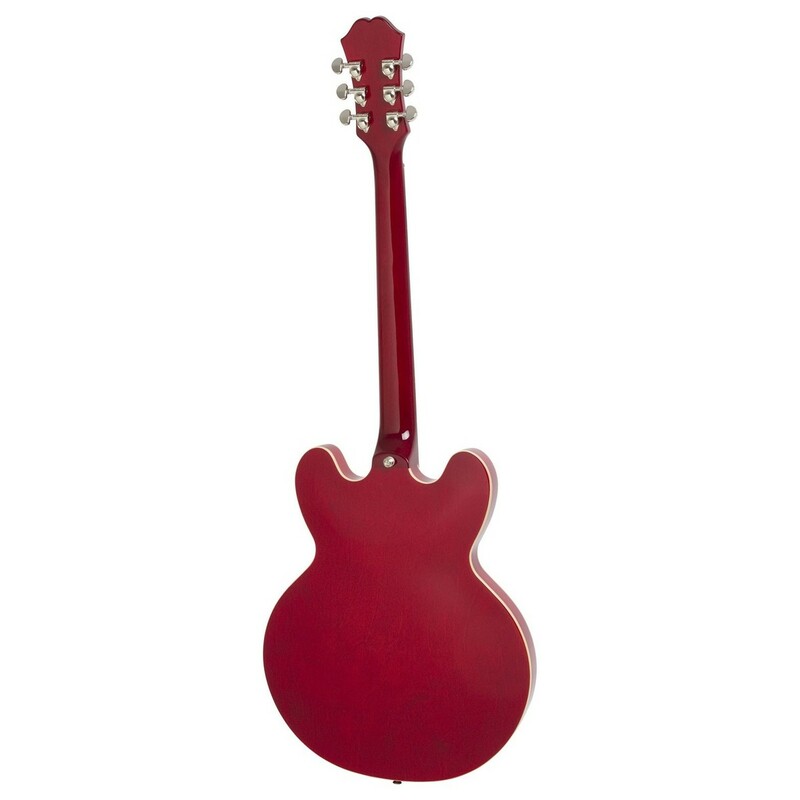 Featuring a smooth slimtaper neck profile, vintage-style top hat control knobs, black pickguard, classic dot inlays, and finished in a stunning cherry colour, the Epiphone Dot Archtop delivers vintage performance at an affordable price. 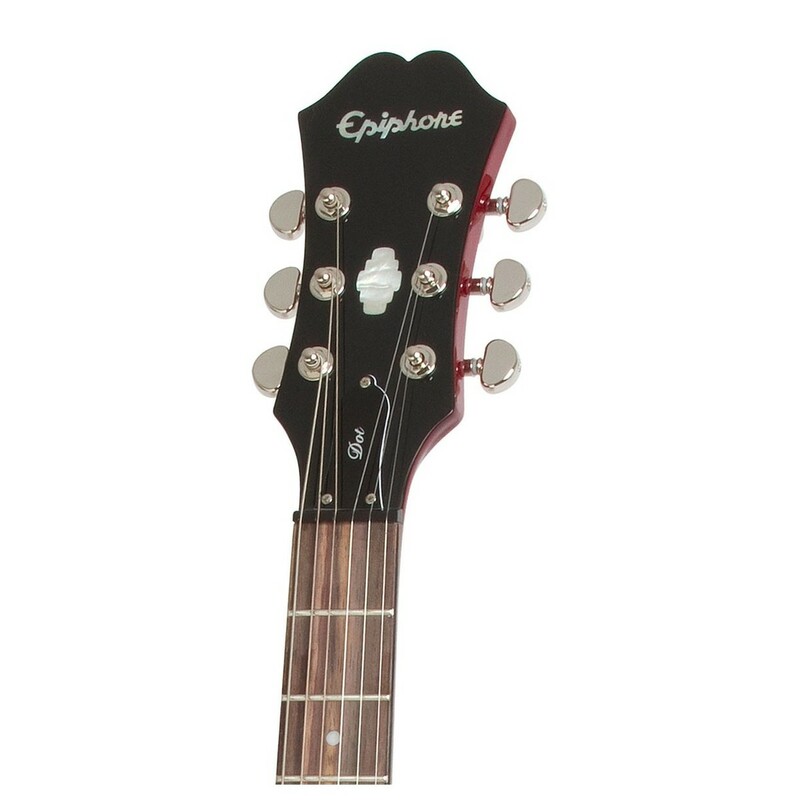 The Epiphone Dot’s hollow body design produces the same resonance as acoustic guitars, offering a beautifully natural amplification. The lightweight body is crafted from maple top, back, and side panels, delivering beautifully bright tones with plenty of crispness to cut through tough mixes. The maple tonewood is known for delivering plenty of bite and sustain with excellent note separation, ensuring each note is clearly heard in chords. The sound produced is balanced across all 6 strings, pronouncing the upper mids and high frequencies while offering an articulate bass response. The Archtop Dot is also equipped with a stunning mahogany neck and rosewood fingerboard, helping expand the body’s rich tonal properties with extra focus and warmth. The neck provides an incredibly focused midrange for a thick, meaty mid-section, while the fingerboard adds plenty of depth by expanding the lows and highs. The combination of mahogany and rosewood offers a well-balanced tone with a beautifully dynamic range and overtones that stack up to offer a luscious bloom for extra girth. Equipped with a set of Epiphone’s alnico classic humbuckers, the Dot Archtop delivers beautifully vintage tones to achieve that classic semi-hollow body sound. Constructed with Alnico V magnets and delivering an output that’s just hot enough to suit a variety of musical genres, the Alnico Classic pickups provides players with a versatile performance suitable for jazz musicians and strummers. Independent volume and tone controls allow players to preserve its high-end at low volumes, while offering the ability to go from smooth tones to moody soundscapes. 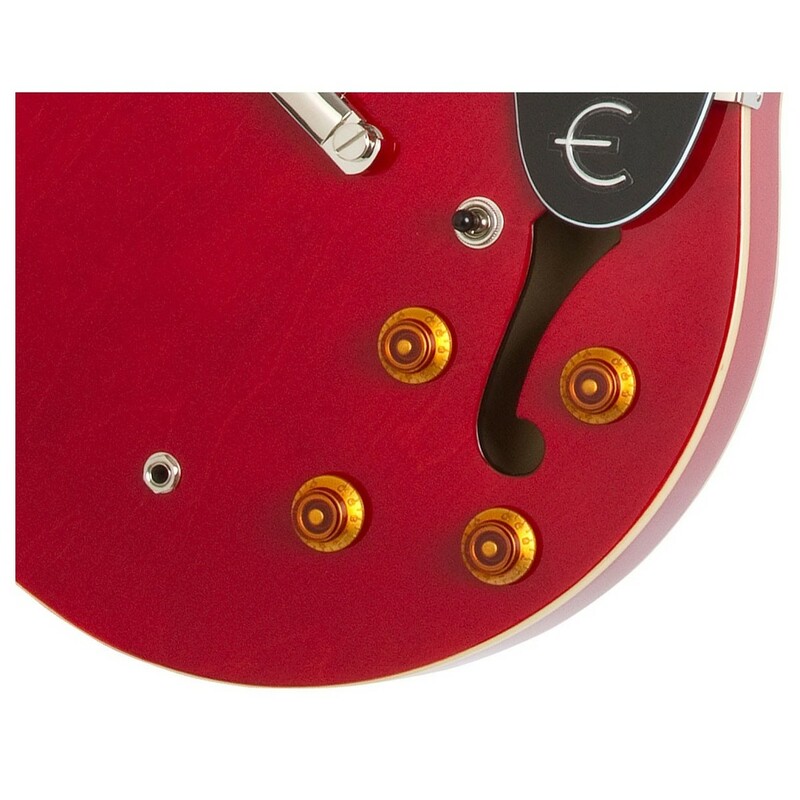 Use the 3-way toggle switch to select between the mellow neck pickup and the striking bridge pickup, or infuse the Epiphone dot with extra gain to let the pickups truly sing. Tune-O-Matic bridges are an extremely popular fixed bridge type due to their stability, reliability, comfortable playing position, and impressive sustain. Unlike other systems that require tools to adjust and remove, the LockTone bridge automatically locks the tune-o-matic and the stopbar onto their posts for added security and an improved sustain. Overall, this modern innovation will provide optimum reliability and ease-of-play, perfect for gigging musicians.